It looks like we can add Lowes to the growing list of big-box retailers that have decided to start offering residential solar solutions. Both Costco and Sam’s Club have introduced home solar kits in the recent past and now Lowe’s is offering solar too, but they are taking a different approach. Rather than sell kits to its customers, Lowes is partnering with the California based Sungevity to offer solar lease programs. According to Sungevity, the solar leases will initially be offered to Lowe’s customers at select stores starting this summer. Eventually, the program will be rolled out to all Lowe’s stores within the eight states Sungevity currently serves including Arizona, California, Colorado, Delaware, Maryland, Massachusetts, New Jersey and New York. The interactive display Lowe’s will incorporate will involve Sungevity’s “iQuote”, a system that bypasses a traditional site visit by using aerial photography and satellite images to help develop an installation quote. Sungevity says the system allows customers to view a rendering of proposed installation and get an idea of the cost savings they would experience through the solar lease. In general, solar lease programs are designed to reduce or eliminate the up-front costs of installing a solar power system. The home owner leases the solar panels for a monthly fee and gets the benefit of the electricity they generate in the form of reduced electricity bills. 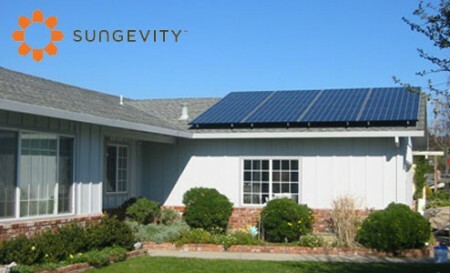 Many solar leases allow the home owner to purchase the solar system at fair market value after a pre-set period of time but Sungevity has not disclosed the particulars of this particular lease program. For more information about solar leases, check out our feature on the topic here. With this kind of offer, I know many people would surely grab the opportunity… I too..
Why choose an expensive solar lease when you can own your system instead of renting it at 1/3 the cost of a lease. It’s absolutely foolish to even consider a lease at today’s much lower purchase pricing. And if you need $0 down financing, you’re far better off going with a $0 down FHA solar loan or $0 down PACE financing with it’s tax deductible interest. Solar leases and PPAs don’t offer tax deductible interest. And good luck ever selling your home with a solar lease or PPA attached to it. What potential home buyer will want to buy your home and take over your lease payments on a used solar system when they can own a brand new system and keep the 30% federal tax credit for many thousands of dollars less than your remaining lease payments?